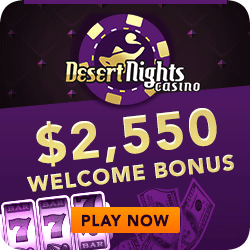 The King Kasholot Video Slot Machine is coming to Slots Capital and Desert Nights Casino! Rival Gaming is set to release a new 25-line, 5-reel Slot "King Kasholot", coming to Slots Capital and Desert Nights November 28th, 2018! The King Kasholot Video Slot is a new release from Rival Gaming. It features a 25 payline layout with the King, the Queen, Prince, Princess, and the Jester. Yeah, it’s old hat Alice style but the typical card suites of Hearts, Diamonds, Clubs, and Spades complete the payout icons. We love stacked wilds of course. Nothing like hitting multiple strong paylines to put a smile on your face! 3 or more Princes trigger the free spins round! Have no fear, that’s not the only bonus play round! 3 or more Key and Lock symbols trigger a Pick’Em bonus. Yeah, unlock the Kings treasure chests and win more cash! Three or more Key and Lock icons triggers the King’s Chest Pick’Em Bonus! Unlock treasure chests to win! We can’t ask for much more can we? Three features – Stacked Wilds, Free Spins, and a Pick’em Bonus round!